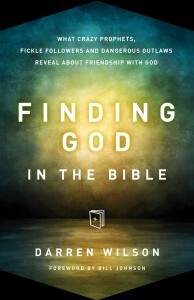 I do not typically post joint reviews, but in this case I received both Father of Lights and Finding God in the Bible simultaneously from the publisher, and for good reason. They each uncover what it looks like to be a friend of God. Also, in Finding God in the Bible Darren Wilson frequently refers to scenes and people encountered in his film, Father of Lights. I recommend watching the film first, then reading the book–although, of course, both are enjoyable completely on their own as well. I first encountered Darren Wilson through his feature film, Finger of God, in which he captured multiple supernatural miracles of God on camera in an exciting documentary-style demonstration of God’s involvement with humanity. His film, Furious Love, continued that story of God’s love and immanence. 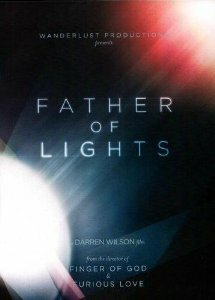 And Darren’s newest film, Father of Lights, wraps up this film trilogy with some of the most encouraging and exciting charismatic Christian footage I have seen. This film expresses what it looks like to be a friend of God through documentary interviews and excursions with many of God’s close friends. As the film crew travels the world to visit with both known and lesser known Christian ministers, people encounter God, are healed, and recognize the warmth of God’s passionate love. There is also a particularly excellent scene where the film crew is able to film inside the Dome of the Rock, which is unheard of for Christians, but possible through the loving and miracle-working Father God. This is really an amazing film! 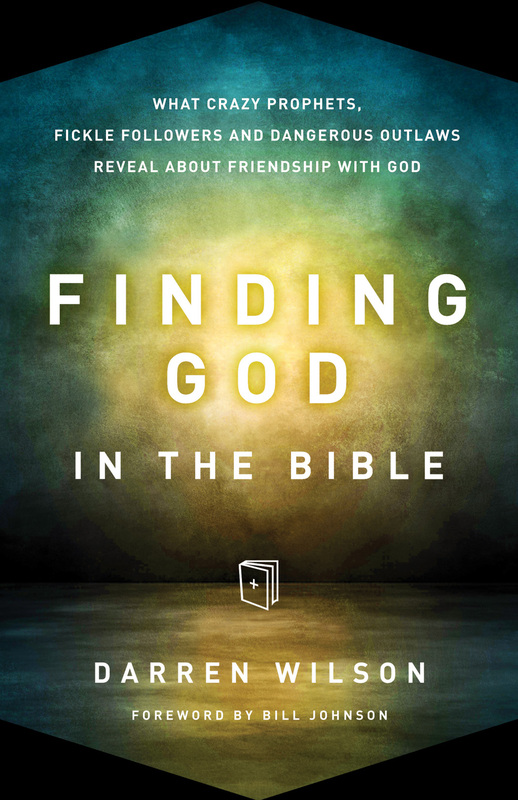 In Finding God in the Bible, Darren Wilson candidly discusses some of the Bible’s more troubling stories and how each actually reveals something positive about God’s character. Areas analyzed, for instance, include Abraham’s willingness to sacrifice his own son, Elisha cursing 42 youths to their death, what went wrong with King Saul, and many other interesting biblical passages. The majority of the book is taken from the Old Testament, with exception of the final chapter that focuses on Jesus’ character and interaction with His friends. Wilson does not write as an apologist or theologian, but as a friend of God casually sharing his own personal insights, stories, and thoughts. Since I do love to study theology, at times I became distracted by very small insignificant details that were not quite accurate, and needed to remind myself to focus on Wilson’s overall message–a message, by the way, which was always excellent and well presented despite some very minor issues. This is a book for anyone wanting to understand how God feels about humanity (He loves us, likes us, and wants to be our friend! ), and also for those desiring to strengthen their own friendship with God. It’s easy to read, interesting, and very encouraging. I received a complimentary copy of this DVD and this book from Chosen Books.